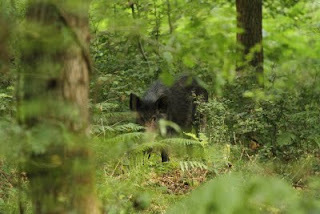 Forest of Dean Wildlife & Nature Diary: Not a Boaring Encounter! If you walk in their garden they will charge, attack and kill you. 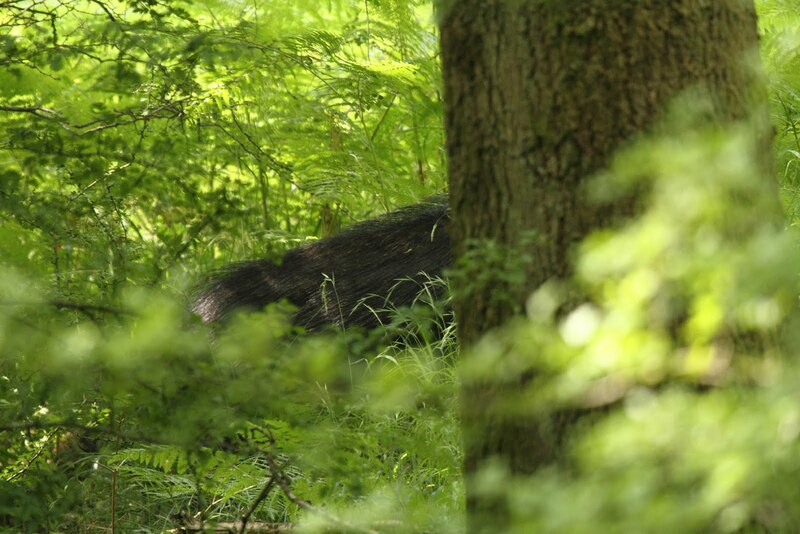 Sadly this is the perception some people have where the wild boars are concerned, in the Forest of Dean. 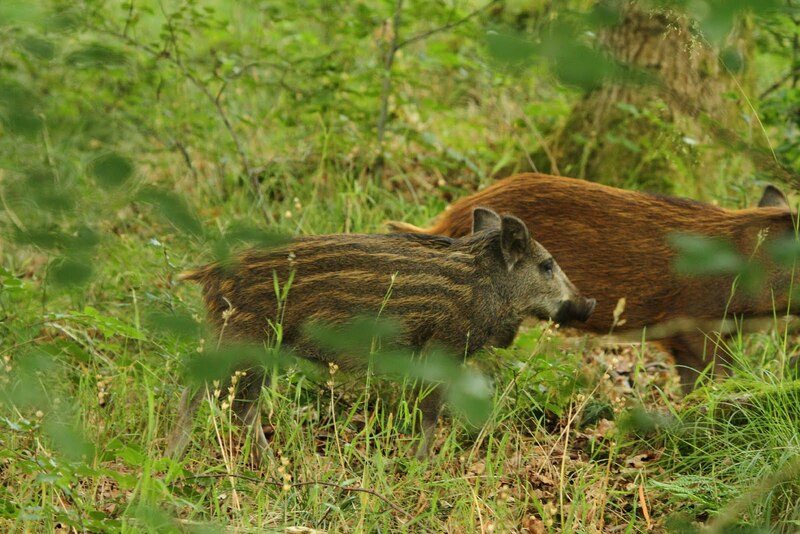 I suppose this is to be expected as the wild boars are controversial animals and why should they be treated any differently than the other controversial animals found all over the world? 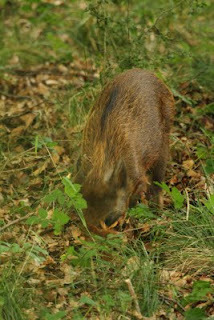 It is encounters with these animals like the one I had yesterday morning, which show them as they really are. Not stampeding killing machines, but as tight family units that have a strong bond and will avoid conflict if given the choice. After failing to find the wild boars on Sunday 24 July, I had time to pop out and try again yesterday morning. The conditions were not good for photography, but I was more interested in finding them, than photographing them. I walked to an area where I have seen then in the past and found some fresh signs that they had been in the area recently. I tracked them from these signs and within 5 minuets I was sat behind a tree with 7 piglets running around in front of me. Judging by the size of them, they were probably 3 months old and dependant. This was good news as the sow was nowhere to be seen - probably shot like many other sows throughout the forest! I watched as they foraged the forest floor, searching for roots and bugs. I stayed perfectly still like I had with the fox on Sunday, but these little ones were not foolish and disappeared into some high and very dense bracken. I stood on the outside of the bracken for around 5 minuets. I could hear them and see the bracken swaying as they were rooting around within. I decided to go in and try to find them! 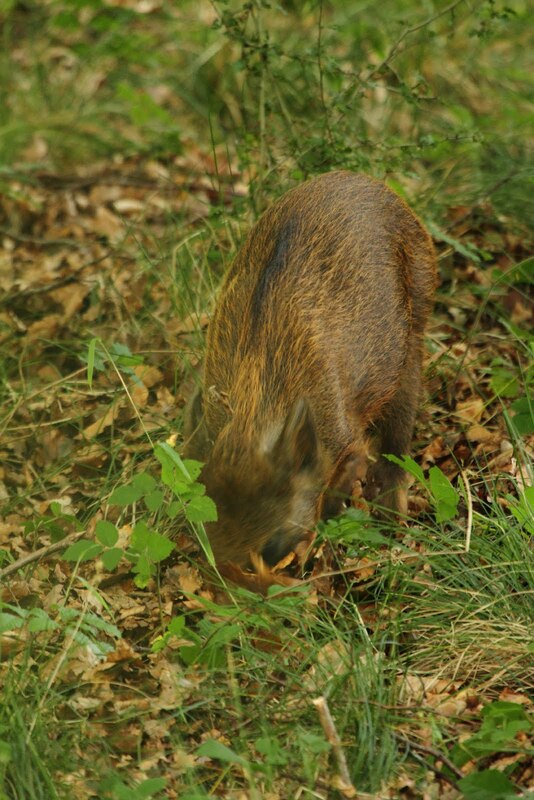 Knowing the sow was not present, I presumed that all was well and that there was no chance of me startling her. I crept in and came across a clearing, approximately 3 metres across. 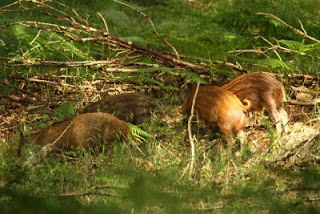 I could see the bracken swaying, so I knew the piglets were just in front of me. The wind was in my face, so they would not pick up on my scent. They didn't know I was there and it was just a case of being patient, waiting for one to pop out. 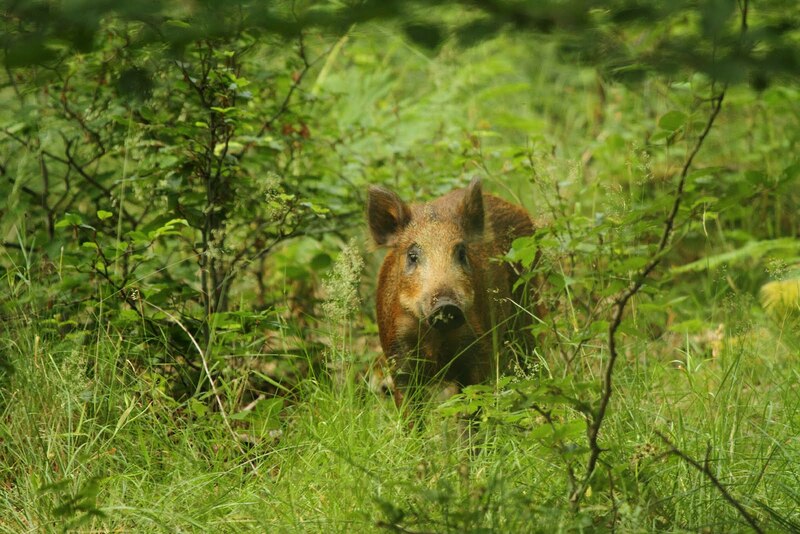 Then all of a sudden the bracken started moving like T-Rex was coming through and before I could think "sow" she was there, staring at me! I was on my knees and had a mixture of adrenalin, excitement and fear pumping through my veins as I looked back at her. As I was on my knees she was around the same height as me, which made me feel vulnerable as I took this photograph. 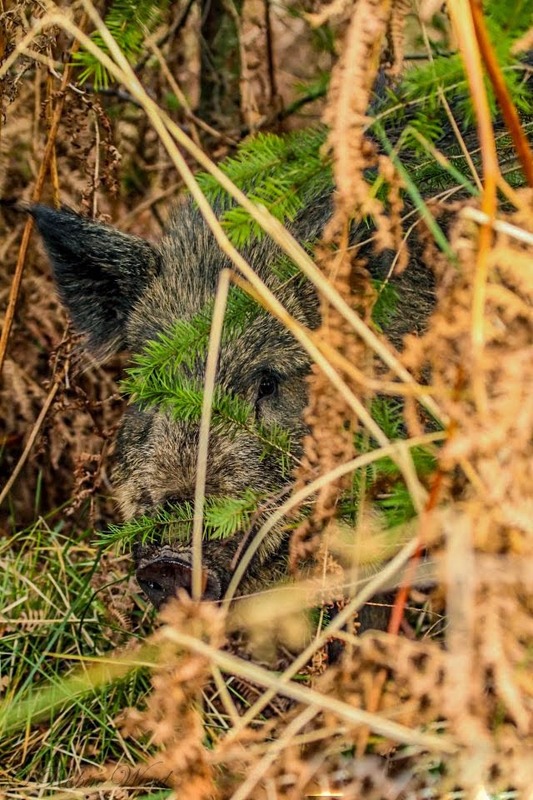 I held my nerve and ground as she watched me through the bracken and this is when I heard a noise behind me that sent a shiver down my spine. Some piglets had moved around and were behind me and I was now directly between a protective sow and her little ones. This is something I try very hard to avoid as if the sow perceived me as a threat, then the most direct path back to her little ones would be through and probably over me! Before I could do anything she started moving around me "to my relief" and walked up a slight mound, behind some trees. 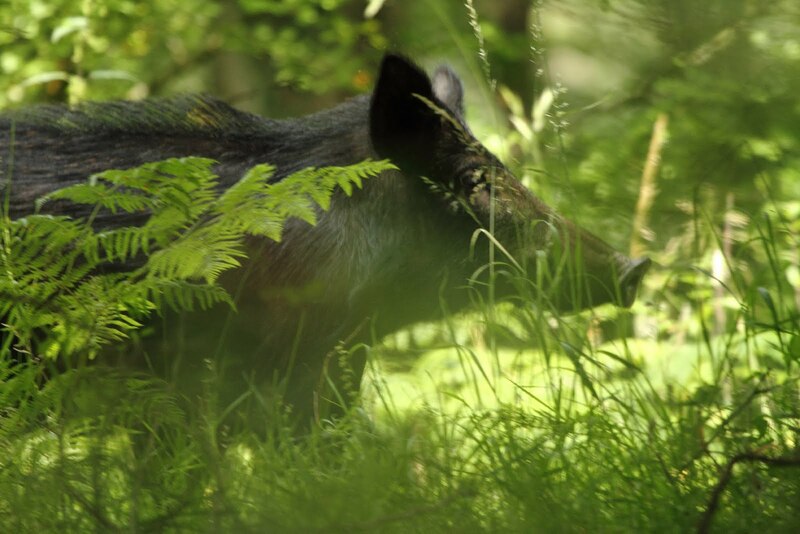 The piglets were still in the bracken with me as she circled above, checking me out further. She walked back down the mound and stood there on the edge of the forest, just staring at me. With a single short grunt, I heard the piglets run towards her and thought she was going to leave the area. 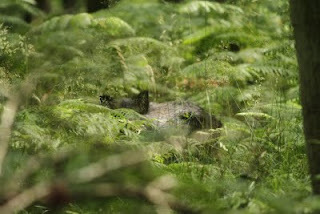 However, she disappeared back into the bracken, heading in my direction! I quickly thought that perhaps I had overstayed my welcome and that I had pushed my luck too far this time, but it was completely the opposite. 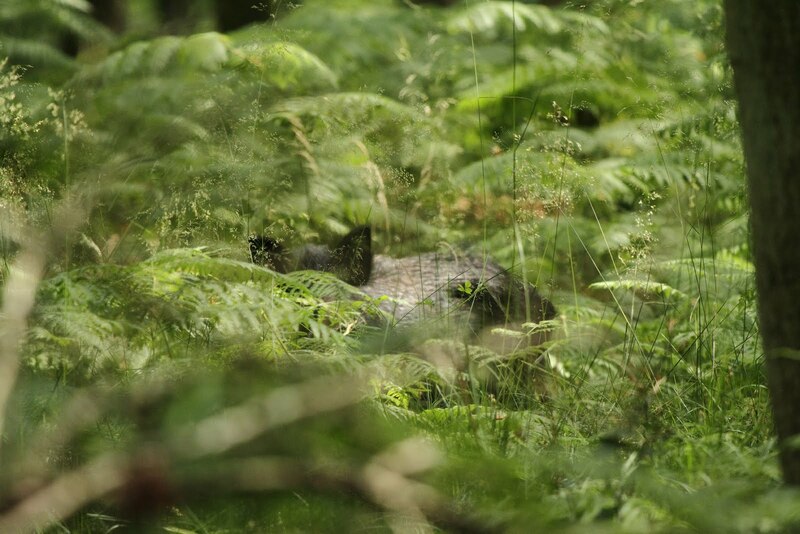 She just stood in the bracken watching me. I stayed put for around 10 minuets with the sow and piglets foraging all around me, but I felt that it was time to leave as I couldn't get any clear shots and had quite enough adrenaline in my veins to last quite some time! Once again another encounter, which blows the scare stories out of the water. 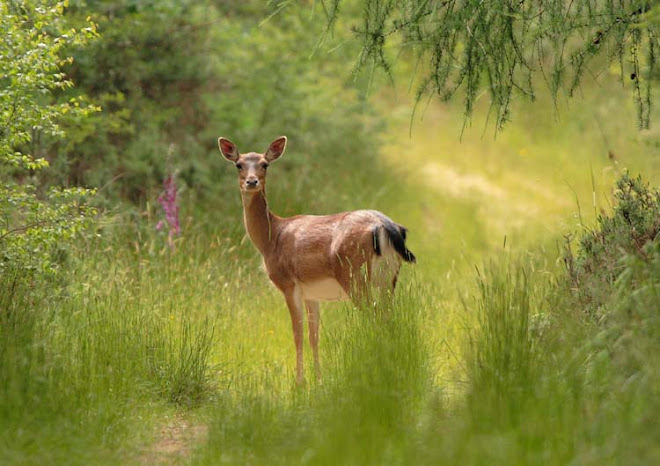 I know this animal can be dangerous given the right "or wrong" circumstances, but if you respect them and learn how to behave and react around them, it is one of the most enjoyable and memorable encounters you will ever have with wildlife in the UK. You are brave. I would have run, probably dropped my camera too and then been mortified that I missed a great opportunity and had probably wrecked my camera in the process! They look cute and your photos of them are enough for me. I'll carry on enjoying your snaps in the safety of my office!